The Passage closes briefly after today's post, reopening Tuesday, January 4. I thank and appreciate each person who strolled through in 2010, and wish you a joyful, relaxed, delicious holiday. As I was leaving a party last evening, a handsome man entered the vestibule, stepped aside to let me pass, and said, "Nice earmuffs!" 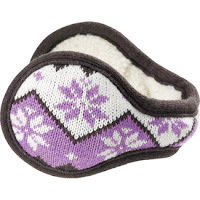 Something is happening, head-wise: earmuffs are having a toasty moment. Readers sent in such good ideas that I wanted to show them. Mitten clap to blogger Rebecca Mielke of The Space Between My Peers, who reminds us about the behind-the-head style, beloved by skiers. 180s.com offer many funky versions; I especially like this snowflake pattern called Park City, $35. Snowflakes in crystal: William Sharp's Swarovski crystal and cashmere earmuffs in mid-brown (shown) or black; $198.26 (but free delivery worldwide now) from Asos. Model looks about twelve but never mind; these would look chic on her grandmother. Commenter Kristine wrote to introduce me to Earpops, a bandless version. Super-easy to carry, and available in an enormous range of colours, including some crazy "fur" versions and leopard, which could change my whole outlook on winter! Price, $8 per pair, plus shipping. Check Earpop's site for size measurements and a tutorial showing how to put them on. 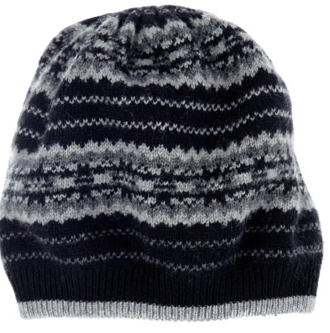 Superb choices for icy morning dog-walking, when hat head is not an issue. Their handsome hand-knit cabled style is also on sale; price, £70. Available in four shades including a rich berry and a hue they call camel, though it reminds me of heavy cream. 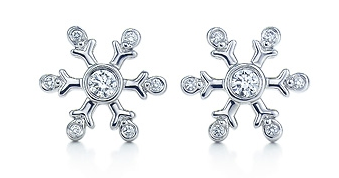 "Oh the weather outside is frightful, diamond snowflakes, so delightful"– isn't that the song? I find them a chic way to 'holiday' your ensemble and a pleasure all winter. ( I'm wearing a pair in the photo.) 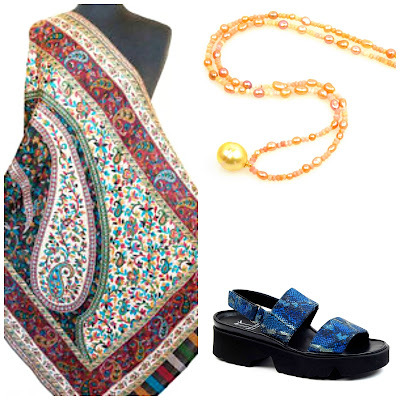 Should the last-minute shopper need a gentle hint, forward this post and add that express shipping is a beautiful thing. Though some big flakes fall from fabulous clouds (hello, Harry Winston), you could wear the selection below with jeans and a sweater or a skirt and your favourite top. A tailored, discreet pair of flakes; seven small diamonds on each, set in 18k white gold. Price, $1,350 from Reinstein/Ross at Twist. 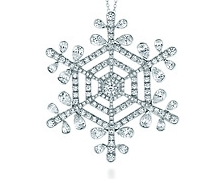 Diamond snowflakes from Tiffany, classically graceful, set in platinum; price, $2,250. Delicate snowflake dangles, set in white or yellow gold, from Heavenly Treasures; price, $795. Heavenly Treasure have a whole section of snowflake jewelry. 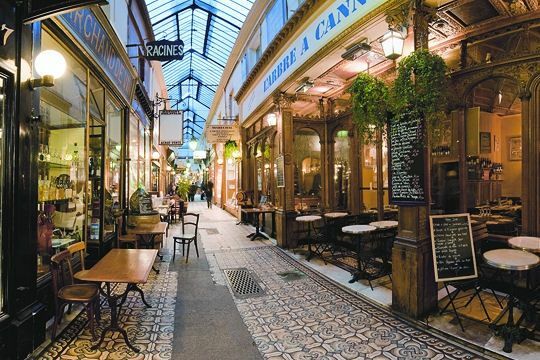 Today, I'm headed for the real thing: off to Montreal to look at a house, walk snowy streets where Christmas lights make diamonds in the snow and catch the train home with son Etienne. However you define sparkle, I wish bright moments for you, and thank you for adding to mine. Happy Holidays and good luck with your house hunting! Moving to Montreal puts you just over the border from us in Vermont! Have a lovely christmas and new year and I hope the househunting goes well. Personally, I prefer a knitted headband to ear muffs (I knitted a cable one in alpaca wool) but I must say the clamp variety looks good. The individual ear covers look promising too! Happy Holidays, Duchesse! I love the picture of you with the snowflake earrings. Here we don't need earmuffs as much as waders, but oh la la those diamond snowflakes are just divine! Glad you were able to see the lunar eclipse; here no luck with the socked-in conditions. Merry Christmas, Duchesse, and thank you for adding a little sparkle, refined taste, wit, and kindness to my mornings this year. Good luck with the house-hunting trip. At the least, you'll have a visit with your son. And Merry, merry Christmas to you and your family -- enjoy a peaceful break with your loved ones, and I look forward too seeing you back here in the New Year. Alas we didn't see the Solstice Eclipse either as it was very cloudy and there is too much light pollution where I live to peer through the clouds at all. Duchesse, the weather is pleasantly mild now - though the snow does get grey and slushy of course. Had a long walk yesterday - work to do today but will get in a shorter one. I hate winter and am wearing leaf earrings right now. Bonnes Fetes and Bonne Chance with your househunting in Montreal. Merci infiniment for all your wit and good counsel this year. 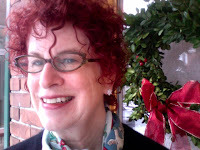 Your curly hair looks great and I love that cascading curl brushing your forehead! Thank you for your wonderful posts this past year. Have a wonderful time in Montreal and Happy househunting. Happy Holidays and thanks for sharing this last year. Here’s to many more. cheers! 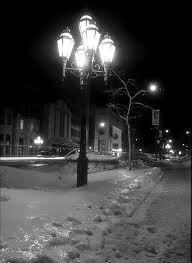 Merry Christmas and a very happy New Year, to you, the Passage, and le Duc et famille. Snowflakes and all. Merry Christmas to you and your family, Duchesse. I've loved your blog since I discovered it late this year. I'll be looking forward to your next post in the new year. Very exciting about Montreal! Keep us posted on the house hunting. I'm glad you like the Ear Pops, Duchesse. I must confess, back when I bought my first pair, I decided I needed a 2nd, in Leopard! I always feel extravagant when I wear them. Merry Christmas to you and your family! And thank you for a year of thoughtful and inspiring posts. 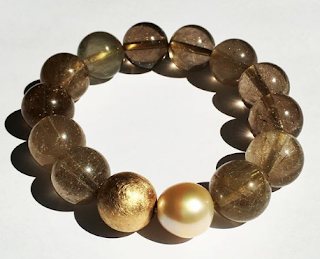 I especially enjoyed and appreciated the posts about pearls. They led me to Kojima and Pearl Paradise with excellent results. Best to you and yours. What fun. 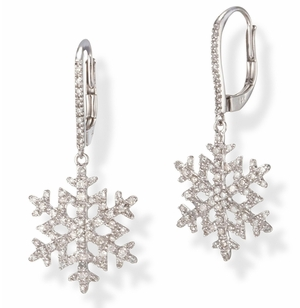 Those diamond snowflake earrings are exquisite. Well, I'm working backwards so Christmas has already passed. 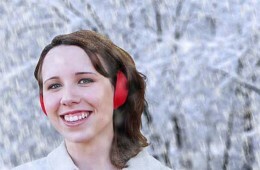 Love the picture of you with the lovely snowflake earrings and I am in need of new earmuffs, so perhaps I will come across the original earmuff piece.